“In June, the monsoons hit Bangladesh. Chinese police discovered slaves in a brickwork factory who couldn’t be sent home because they were too traumatized to remember anything but their own names, and Dr. Kevorkian was released from prison. 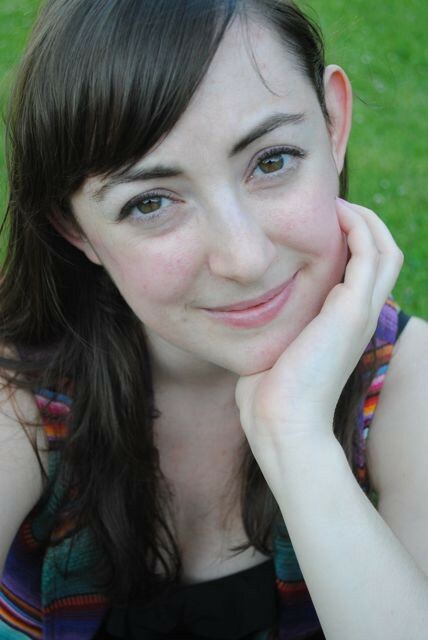 In other news, I moved in with my parents.” That’s how we meet Esther Kohler, the twenty-something star of Leigh Stein’s debut novel The Fallback Plan. The book follows Esther through the summer of her discontent — she’s out of school, uncertain, and babysitting for a family that’s just lost a child. It offers a glimpse at a generation of young people who have no idea what to do next — unlike Leigh, who at 27 is busily working on her next novel and awaiting the publication of her first book of poetry, Dispatch From the Future (due this summer). Leigh took some time out of her day to spin tunes on Turntable.fm and chat about how she’s never read Flowers in the Attic. Melissa Locker: Hi Leigh! Thanks for agreeing to talk to me. Leigh Stein: Sure, I’m excited! ML: First question: Do you live with your parents? LS: Haha! No. But I have lived with them, as an adult, four times. ML: Four times? Do you etch the lines on your bedroom set? ML: How did you end up living in your parents’ house as an adult? Was it like your protagonist Esther? ML: Speaking of slackers. Is Esther actually a slacker? ML: My song choices are never that well timed! LS: Your songs are well curated. My book is sometimes getting referred to as being part of a slacker genre, which I hadn’t thought about as even existing…and I have a knee-jerk reaction to that classification just because I’M not a slacker and people seem to want to think Esther IS me, and it gets confusing. ML: Right! Because slackers are too lazy to write novels. LS: You get to be a DJ instead. ML: It’s funny, though, for some reason I really thought your book was autobiographical. ML: There’s something about it that feels true. LS: Probably because it’s my first and because it’s in first-person. ML: So do you find yourself fending off questions about Esther’s life? LS: I would say that Esther’s worldview is like my own at 22. LS: I make jokes in my head to cover up the sadness. Speaking of sadness! I love this song. But the things that happen in the book, they didn’t happen to me. ML: Pretty! And sad. Pretty sad. ML: Esther is not a happy person. LS: She’s not. Some readers have been really offended by her fantasy of becoming disabled. ML: Was it hard writing about a person so miserable? Getting in the mindset. LS: I think I was just as miserable when I was writing it. I was living New Mexico with a pretty abusive boyfriend, and I went to the doctor to get anti-anxiety medicine, and then came home and wrote the scene where Esther goes to get anti-anxiety medicine. LS: But I made it funnier than it was in real life, because that’s just what I do. ML: So there’s an autobiographical element to the story. LS: I mean that’s what I do, and that’s what Esther does. So, yes. But at the same time, I’m not “her.” I guess it’s a vague distinction. ML: Does that make it hard to be critiqued? LS: Yeah, it does. When people don’t like Esther, it feels like they don’t like me. ML: Like if someone were critiquing your high school yearbook. LS: Haha yes! I feel tender towards Esther, but as I get older, I’m also becoming increasingly different from the character. If that makes sense. ML: It does! You’re real, so you get to evolve. LS: Did you pick this because there’s a “small death” in the book? ML: Yes. Also, it’s a great song. I appreciated that you were willing to talk about something that people don’t talk about much. What made you want to include that? LS: RE: depression? Or death of the child? ML: The death of a child. It was so …searing. LS: Yeah. It’s one of the most horrible things I can imagine. So it started out just kind of as a thought experiment. Here’s this family of three: the mom, the dad, and the daughter May, and they’ve all been burned by something, and Esther gets thrown into the middle. And they’re all coping with it in very different ways. ML: It’s an interesting situation, because no one is mentally healthy. LS: Yeah, they’re all a little off. ML: So it’s the whole “no one is watching the prisoners” phenomenon. ML: A little “Lord of the Flies” meets Tiny Furniture. LS: I read up a little on SIDS while I was writing it and came across the fact that most marriages won’t survive (the loss of a child) and I thought, right, how could they? ML: Yeah, I can’t imagine. I also want to read a novel about May when she’s all grown up. LS: May is my favorite character. I’ve been asked if I would write another book with Esther and I think not. But May I would love to revisit. ML: Yeah, she’s going to be amazing. Er… a-MAY-zing. LS: HAHAHA. When I was proofreading a draft, after not having read my book for a year or more, I was so surprised by May. I don’t remember writing her parts. ML: Really? You don’t remember writing her parts? Because she’s so perfectly delineated. LS: She came to me like magic. She’s not based on anyone. She really has a life of her own, which is creepy. I guess that’s what experienced writers can do, create magic. ML: Like, if you had an attic she would be in it? ML: That’s not creepy at all, Leigh! ML: Are they all incestuous blonde twins? If so I think THAT book has already been written. LS: Is that your favorite kind of child? What’s the incestuous blonde twin book I’m missing out on? ML: I read a lot of Flowers in the Attic. Like a good Lutheran girl at summer camp. LS: OH! See, I’ve never read that. It’s been on my list to read since I was probably 13. ML: You’ve never read Flowers in the Attic? ML: But your book is so clearly inspired by them. Hahaha, I kid. ML: The incestuous blond twin joke must have seemed realllly strange then. LS: I was just gonna roll with it. ML: I appreciate that. Speaking of books you HAVE read, The Chronicles of Narnia. ML: They’re pretty heavily referenced in your book. LS: Yes. YES LIZ PHAIR. Maybe Liz Phair could play the White Queen in Narnia. In the panda version. ML: What inspired the Panda Narnia Chronicles? LS: The pandas kind of stole the show when I was writing. ML: I loved it, but it was so surprising. LS: At first, I just gave the pandas to myself as a gift when I got stuck. ML: To have a panda subplot. LS: Later, I had to kind of tie the plot together and justify them being there. I thought it would be funny to add a Jewish conflict to a story that’s known as a Christian parable. ML: It worked! Especially because Esther seemed to struggle with being Jewish in a WASPy suburb. LS: Exactly. She’s not VERY Jewish, but she’s at least more Jewish than all the non-Jews around her. ML: Do you have an active fantasy life involving pandas? LS: I wish I did. ML: So that part wasn’t autobiographical. LS: For my book’s launch party in Brooklyn I made 30 panda masks, so when I read a panda section, I had everyone put them on. LS: That fantasy, of reading to people dressed as pandas, has been in my mind since before my book was even finished. But other than that, no. Not an active panda fantasy life. ML: Do you think Esther turns out okay? ML: I’ve been worried about her. LS: Aww. I think Esther has to grow up by taking care of another person (May) and she’s more poised to enter adulthood at the end of the book. The summer during which the book takes place is just a blip in her life. That is how I think of it. She was successful (at least in school) beforehand, and she will be again. LS: Two people asked me if she and Pickle were going to get together, which I thought was so hilarious and unimaginable. LS: RIGHT!? That would be insane. LS: No way. See, she’s not totally lost. Even she has standards. ML: The whole interaction with ….I just blanked on his name. LS: Yes, Pickle and Jack. ML: The whole interaction with Jack was way too true. LS: They are bros. At the beginning, Esther is trying to be a bro, too. But that’s not really fitting. I think she’s just trying on different roles. ML: I’m pretty sure most girls reading that are like, oh yeah, I’ve been there. ML: This is going to sound obnoxious, but some of the press you’ve been getting makes it relevant. Do you think you are helping define the voice of your generation? LS: Haha! I don’t find that obnoxious. I think it’s flattering. I think I’m writing about a particular moment that a lot of young people can relate to, but I don’t know how long my book will “live on” or what will happen. Esther is 22, I’m 27. I’m not sure if the kids living at home now are “my generation.” My little sister is 19 and a lot of her friends have really liked the book. They say cute things like “You have NO IDEA how much I related to it.” But I’m not even sure which parts they mean. ML: Just assume the pandas. ML: Everyone relates to pandas. LS: Someone told me they’re the most multicultural animal, because they’re black, white, and Asian. ML: I do feel though that we are reaching towards some sort of recession-inspired zeitgeist. Like Lena Dunham’s Tiny Furniture fits in there too. People returning home after college with dreams but no jobs. LS: Yes. And what’s weird is that I started writing in 2007 before the recession. I didn’t know it was going to be so au courant. ML: You must be psychic. Or you are to blame for the recession. LS: You got it! Now I’m making millions and millions of dollars with my first novel. Suckers! ML: Writing is ALWAYS a smart business move. LS: Yeah, I’m speaking to you now from the trampoline room in my mansion. ML: I knew it! That explains why you sound so bouncy. LS: HAHA. Yesterday I was thinking about how I quit acting (I wanted to be an actress, like Esther) to become a writer, because I thought it would be easier, and more private. Something like that. ML: But then you became wildly successful and have to speak in public at readings and things. LS: Right. Speaking in public is OK, but it’s the part about everyone talking about you that’s so weird. And like we were talking about earlier, where I’m confused with my character. Maybe that’s how real actresses feel. Everyone must treat Angelina Jolie like an international spy. ML: Isn’t she an international spy? Maybe you should only write panda fan fic. LS: Maybe panda erotica next. I think that would be great for my reputation. ML: Are you working on another book? LS: Yes, I’m working on a novel. It’s about 2 girlfriends in New York, one of them is famous for writing a dating book and the other one works at a ladies’ magazine in a cubicle. ML: How do the pandas fit in? ML: You must be on some PETA watchlists now. LS: Yeah, I’m terrible. First I sexualize them, then I murder them. ML: That’s it, I’m writing Law & Order: Panda Edition. ML: You know what? I already have five pages of interview! LS: Nice job! We laughed, we cried, we were inappropriate. ML: All the hallmarks of a Pulitzer winning interview. LS: I hope they still give you the Pulitzer even after I’m arrested for panda murder. ML: I’ll get a MacArthur. LS: I won’t be jealous though because I already have so much money. ML: Jeez, I’m a terrible interviewer. I accused you of panda murder and being a tramp. Now Hillary Clinton will never do one of these. LS: That’s just an average day in the life of a celebrity like me. LS: I wonder what music Hillary likes? LS: True. She’s universally liked by women. LS: Is Lana on Hillary’s radar? ML: FBI watch lists more likely. Leigh Stein will be reading with Carolita Johnson at 192 Books, in New York City, on March 19. 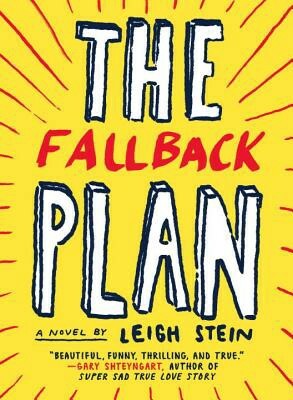 The Fallback Plan is out now, and you can follow Leigh Stein @rhymeswithbee. You can also follow Melissa Locker @woolyknickers.